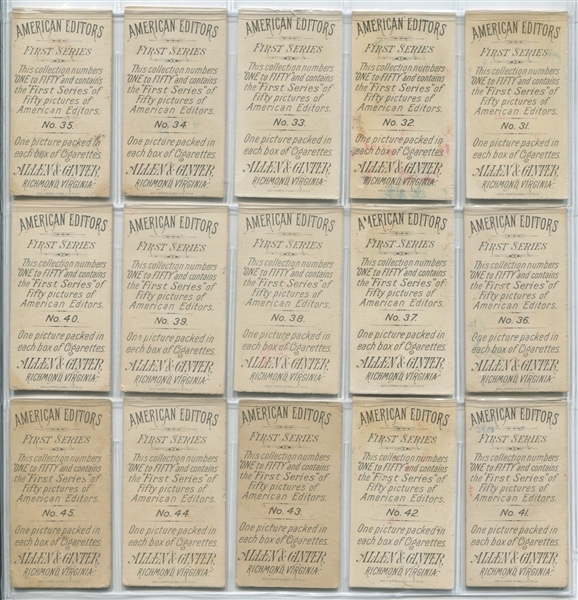 The Allen & Ginter Editors set of the late 1880's conveyed just how much importance was placed on the power of the pen. 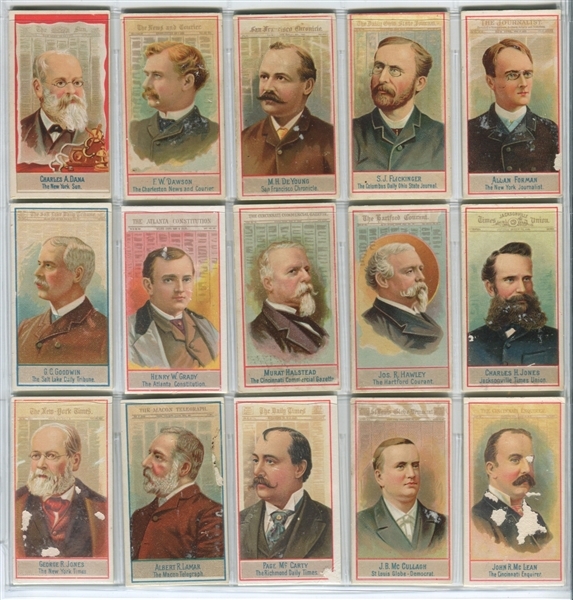 Many of the editors pictured in the set were some of the most powerful men in the United States at the time. 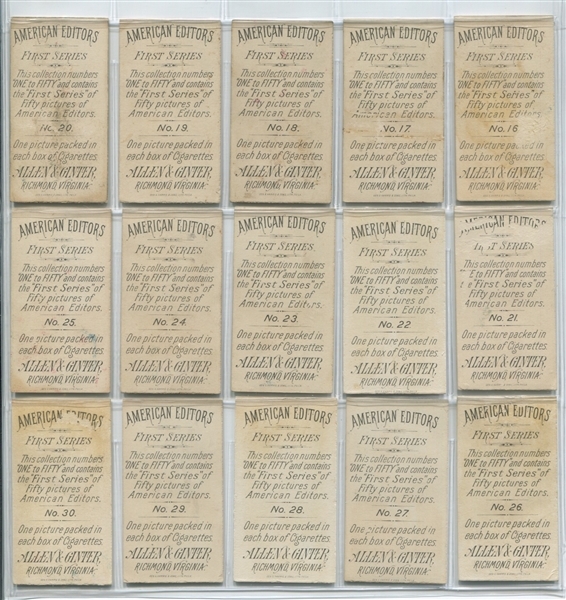 Pulizter, Belo and many more. 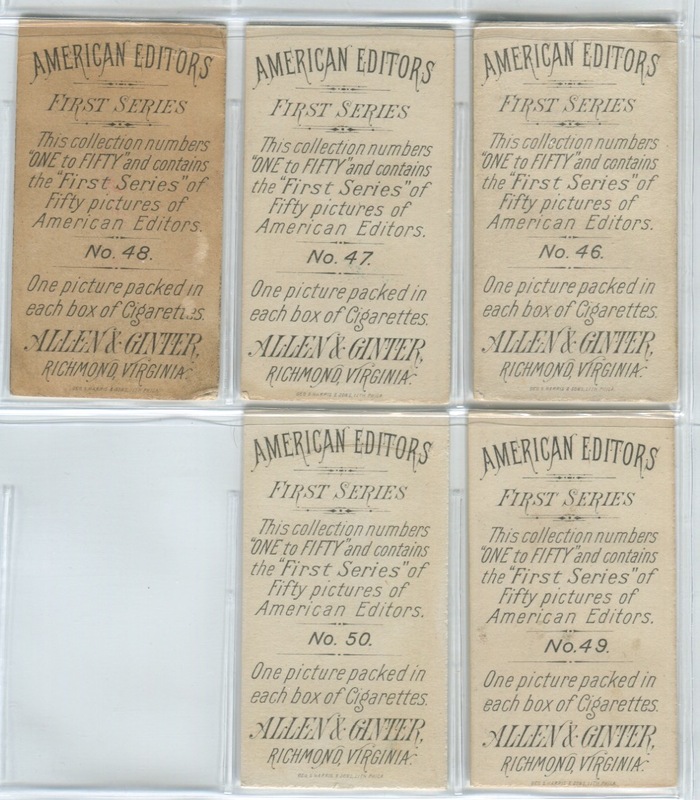 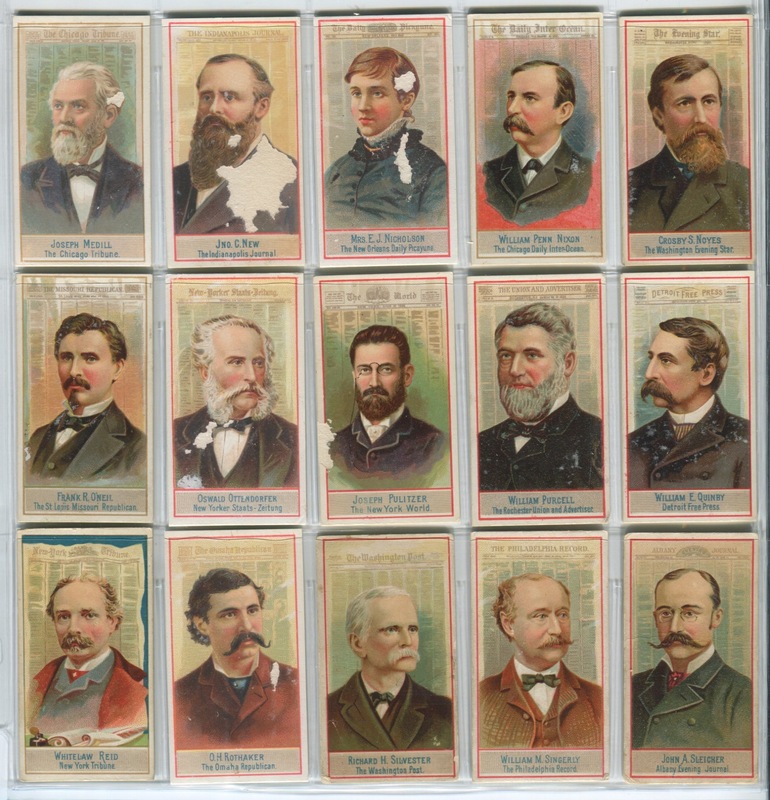 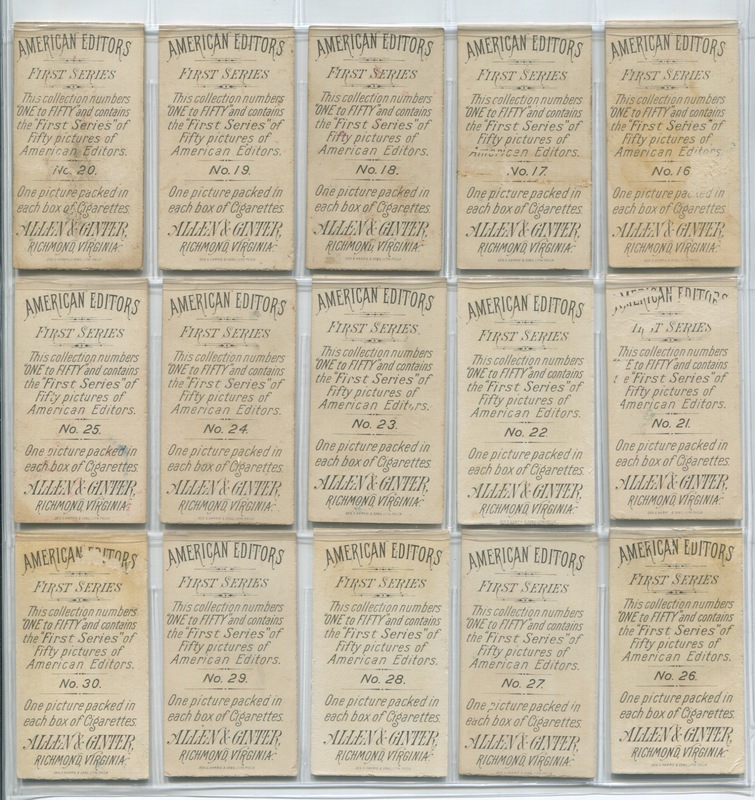 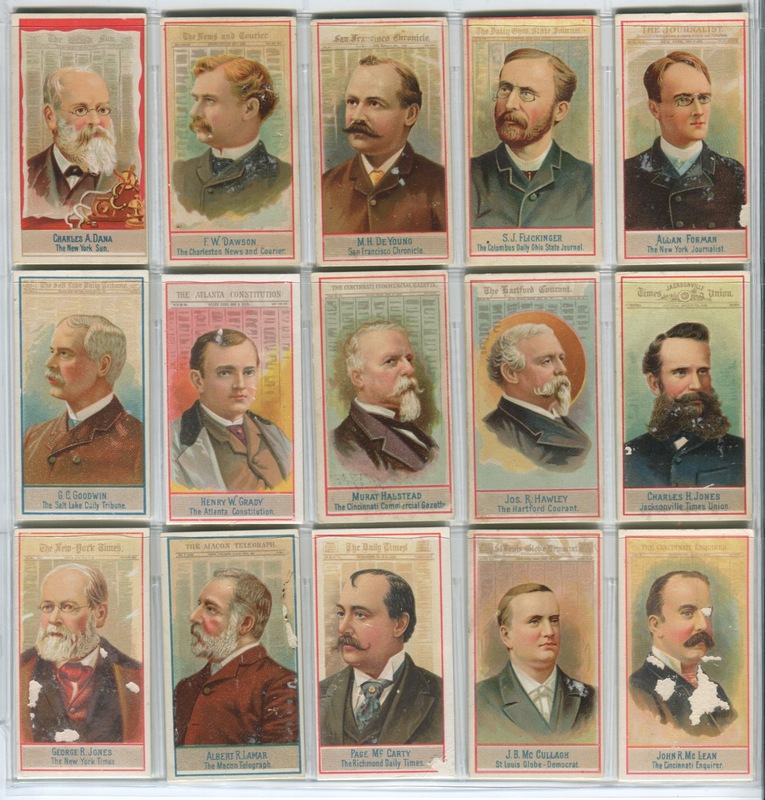 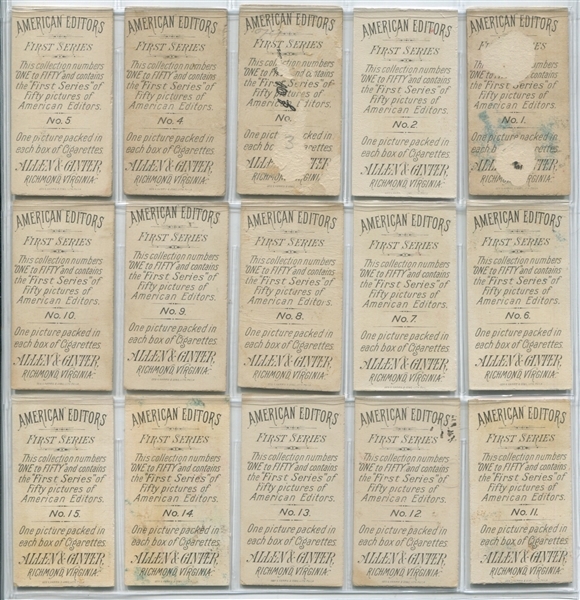 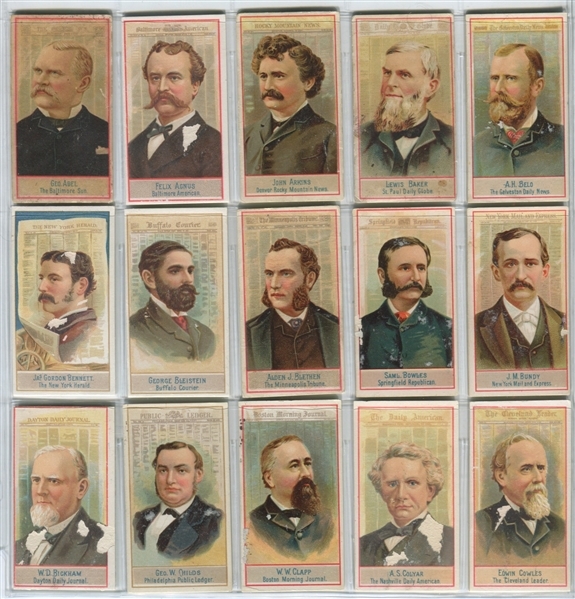 The 50 card set employed great lithography and the cards were numbered on the back. 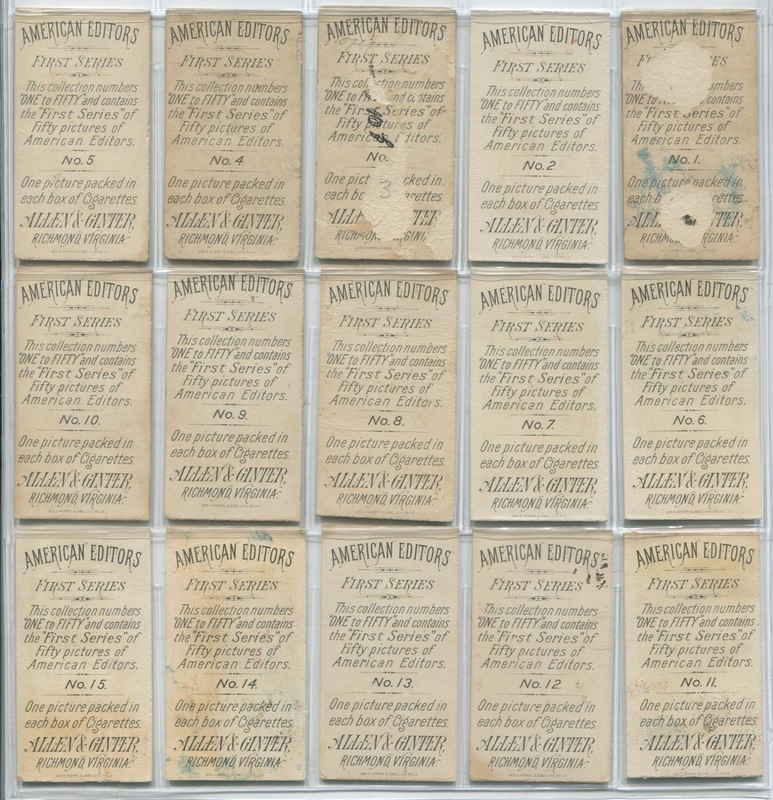 This set, like some of the other A&G sets, seems to have used possibly some type of coating on the front which make them susceptible to flaking of the surface. This set has obvious condition problems, primarily on the front, of about 2/3 of the cards. 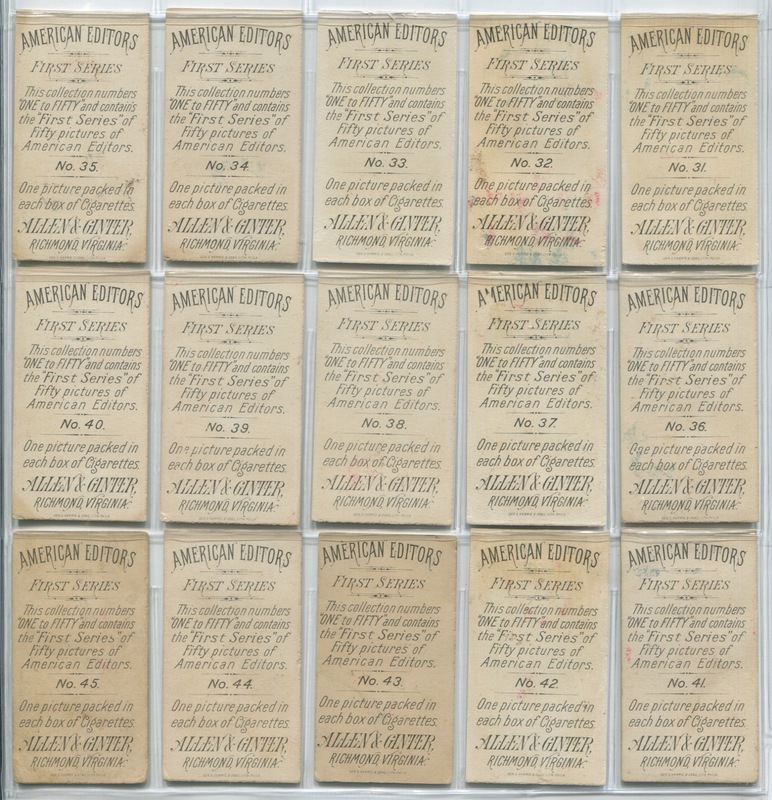 Those condition problems are the aforementioned flaking, scratches or back issues. 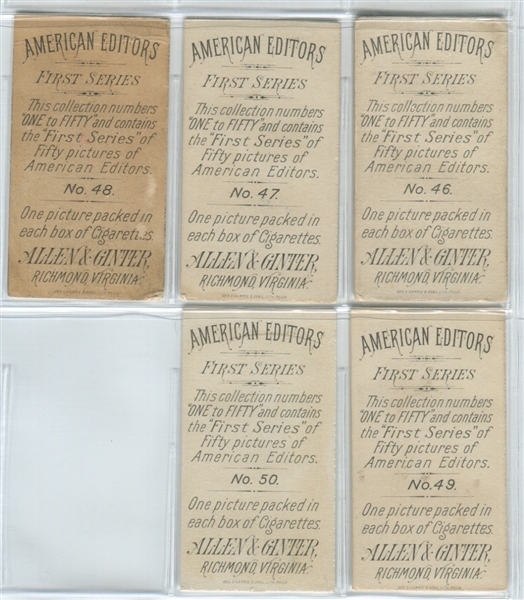 About 1/3 of the set would be considered VG to VGEX. 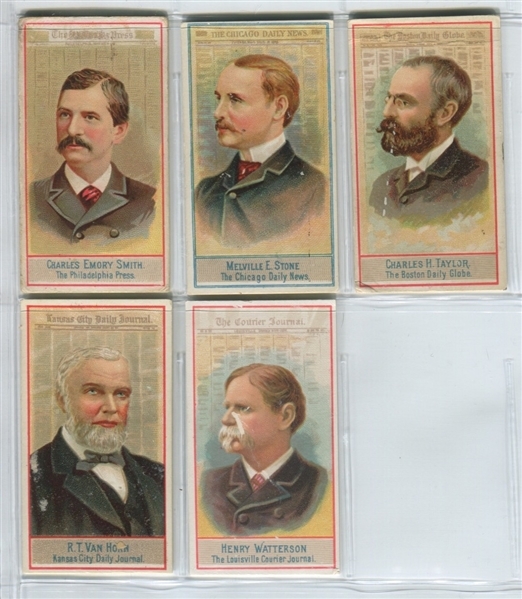 As such, this is overall a lower grade set but, for the most part, does present decently with mostly even condition.